This booklet was first published in 1925. The 2nd ed. was published after the NMB lost Royal Approval. 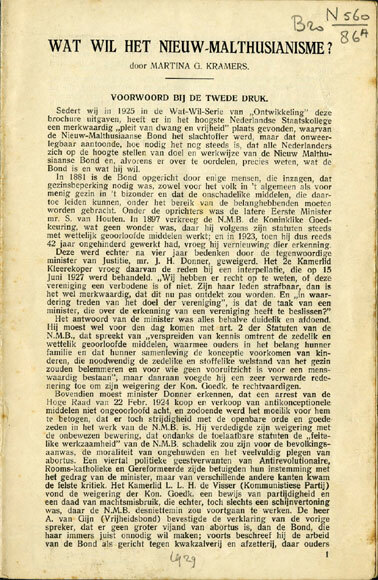 In her introduction Kramers announces that the NMB will continue its necessary and useful activities.